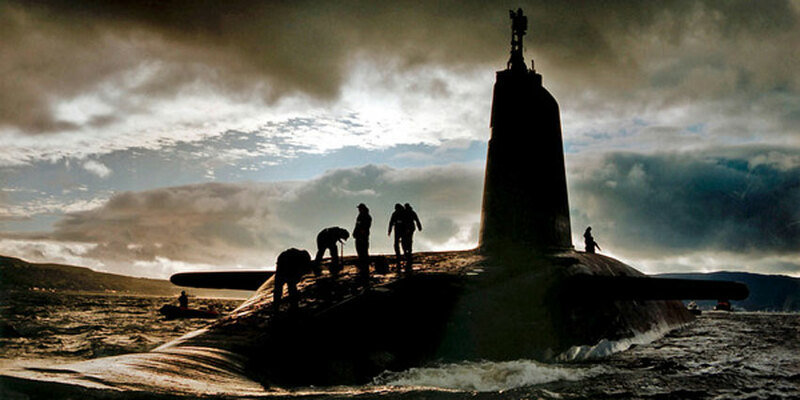 Between now and 2016, Britain must decide whether to replace the four Trident submarines. The capital cost of replacing them will be £25 billion. The construction program will consume at least a third of the defense equipment budget after 2020. Since 1994, Britain’s nuclear weapons have been carried by four Vanguard class submarines, at least one of which is always on patrol in the North Atlantic. Each boat carries 16 Trident II missiles and is capable of delivering nuclear warheads at a range of more than 11 000 km. British defense orthodoxy is that the Trident system is the ultimate insurance that the UK cannot be overrun or blackmailed by a foreign power because it could destroy any foe. The overwhelming factor in the debate is money. The number of regular soldiers in the British Army has been cut to 82 000, the lowest level since the Napoleonic wars. The Royal Navy will have no aircraft carriers or fixed-wing aircraft for the next six years at least. The British Isles are too small to host land-based nuclear missiles, which could be destroyed in a single nuclear strike. A cheaper system based on the new Astute submarines could use nuclear-tipped cruise missiles. But this would mean designing new missiles and warheads. A more radical idea is for the UK to pool its nuclear weapons system with France. Some politicians have wondered whether the UK and France could share a single deterrent. But their respective systems are independent of each other. 1 Nuclear weapons will be redundant in an age of covert warfare. If a country does not know who attacked it, a deterrent has no clear value. 2 The UK should rely on the US strategic nuclear umbrella. It could then afford the conventional military hardware that NATO really needs. 3 Replacement of Trident will leave the UK with a posture that is strong on strategic nuclear capability but weak on conventional capability. Former defense secretary Michael Portillo: "In my view, thinking has not caught up with the fall of the Berlin Wall." AR I think Portillo is right. The Trident investment is political, and UK-US politics now says spend rather on things like drones and cyberwar.